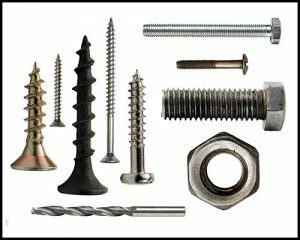 Here at CNC we have all of the screws, nails, bolts and fixings you need to get everything from large-scale work through to the smallest household jobs done. Our wide range is ideal for shelving and ironworks. Extensive testing has been carried out to ensure all of these products are reliable, have stellar endurance and provide the quality that customers are looking for out of their screws, nails, fixings and bolts. To find out more contact us using the form on the right of the page or call 020 8507 7567 to speak to a representative.